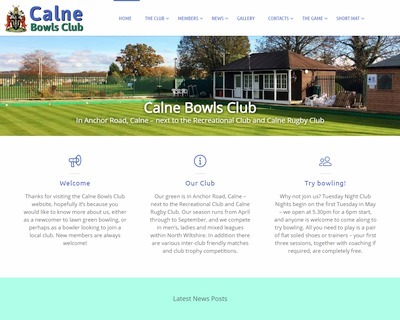 Just launched ready for the new outdoor season, a fresh new website for Calne Bowls Club in Calne, Wiltshire.. click the image to visit. To make it easier to find lawn bowls stores and other commercial websites, the link pages now have a ‘Commercial’ button up in the top menu – use this to quickly find all the commercial websites for each Country. 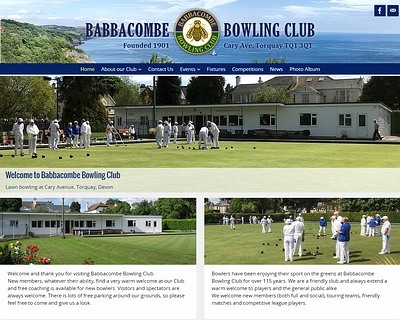 Just launched, a brand new website for Babbacombe Bowling Club, Torquay, Devon. Babbacombe already had their own domain name and web hosting, and this new WordPress site replaced their old static web pages. Welcome to the new www.bowlsclub.info! Sep 2017: This site has been providing links to bowls related websites since 2002, and it was well overdue for a makeover! This all-new site has been rebuilt with WordPress to bring the technology up to date, and to ensure a ‘responsive’ site that can be viewed on mobile phones, tablets and PCs. Not all bowls sites are good at getting themselves listed by Google, so hopefully this site makes them easier to find for everyone. Over 1500 bowls website links are currently included in the listings. In due course, I hope to add facilities such as direct links to Google maps – as and when the technology is proved reliable, and the database records have been updated. 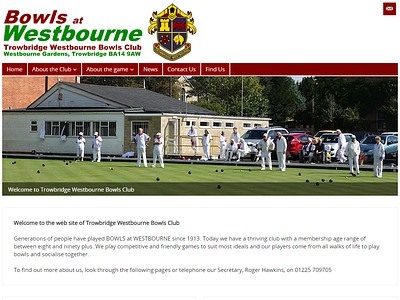 Sep 2017: Just completed, a new website for the Trowbridge Westbourne Bowls Club – another responsive WordPress site. 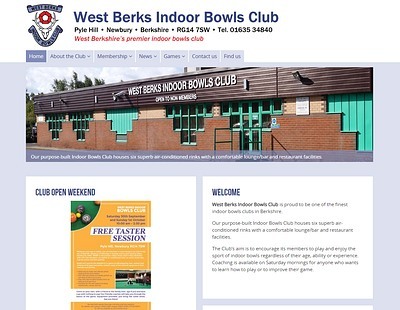 Aug 2017: Another new website produced here for the West Berks Indoor Bowls Club, working with their Website Working Party to replace an older ‘static’ website. West Berks intend to send out email newsletters to Members, so development of this site also included a ‘subscribe to email’ facility.